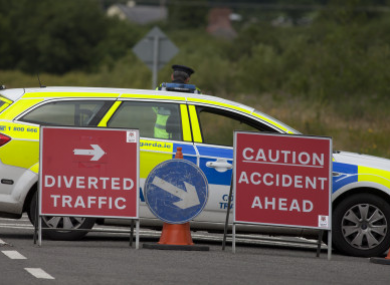 GARDAÍ INVESTIGATING A fatal crash in Kildare last week say they are particularly interested in speaking to one driver. A motorcyclist in his 50s was killed last Friday afternoon on the R445 near Monasterevin when his motorcycle collided with a 4×4 vehicle. He was taken by ambulance to Naas General Hospital where he was pronounced dead. The collision occurred at approximately 2.15pm and involved a black Isuzu crew cab 4×4 vehicle and a motorcyclist. Investigating gardaí are appealing for witnesses or anyone with information or drivers who may have dashcam footage to contact Kildare Garda Station on 045- 521222, the Garda Confidential Line 1 800 666 111 or any Garda Station. Email “Gardaí appeal to driver of silver Micra who may have seen fatal crash”. Feedback on “Gardaí appeal to driver of silver Micra who may have seen fatal crash”.